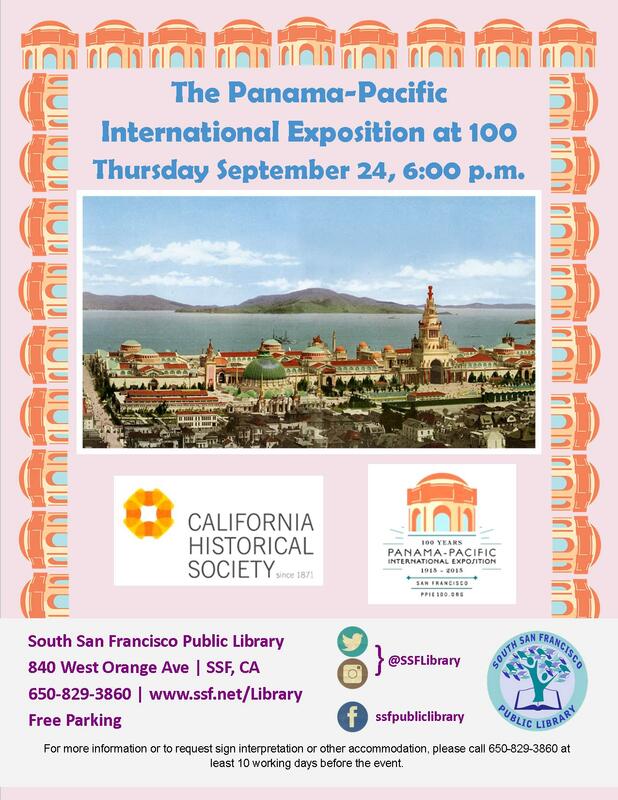 Join South San Francisco Public Library for a docent-led presentation in celebration of the 1915 Panama-Pacific International Exposition, also known as the World’s Fair. The exposition left San Francisco with a number of now-iconic structures including the Palace of Fine Arts and the entry gate to the Japanese Tea Garden in Golden Gate Park. Presented in conjunction with the California Historical Society. This free event will take place Thursday, September 24th at 6:00 p.m. at South San Francisco Main Library in the auditorium. For more information or to request sign interpretation or other accommodation, please call 650-829-3860.